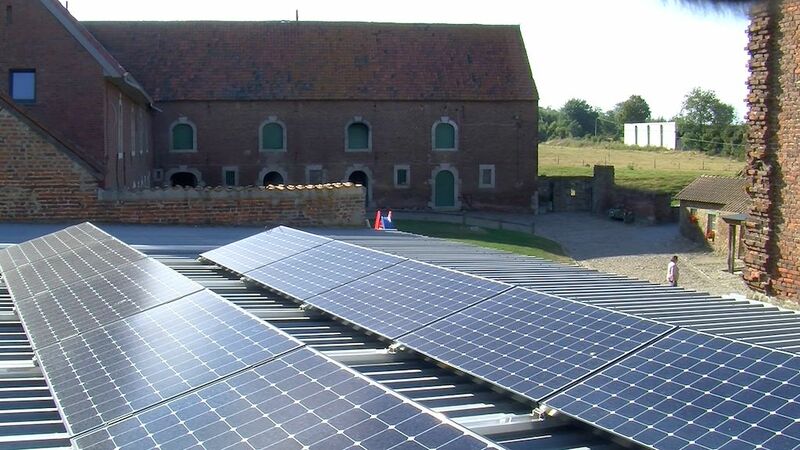 RDP support to a farm modernisation project in Belgium’s Walloon region involving installation of solar panels to help the family business become more self-sufficient in its power needs. ‘Energy security’ is a high level priority for the EU, which promotes renewable energy as a useful tool for helping Europe’s businesses and communities to become more self-sufficient in supplying their own energy needs. This reduces risks to business operations and quality of life from external problems such as power cuts and/or price fluctuations. Renewable energy of course also offers environmental benefits and can help the EU to meet its global commitments concerning reductions in greenhouse gas emissions. This RDP project example features a family farm modernisation project involving the installation of solar panels as a source of renewable energy. These investments aim to help the business to reduce its energy bills as it expands its activities and productivity while supplying quality meat products to local food distribution chains. The farm’s business expansion plans will increase its energy consumption so the panels will make its food production processes more self-sufficient and sustainable. Activities co-financed by the EAFRD in this project example comprise a complementary set of development actions coordinated within an overall business modernisation plan which includes the installation of solar panels, the construction of a large new (wooden) livestock shed housing 200 sheep, increased capacity of on-site cold storage facilities for meat products, and upgrading of the farm shop’s retail outlets. Results from the modernisation project will significantly increase the family farm’s long-term viability and greatly improve its ability to remain a competitive supplier of high quality meat products for local food markets. The farm rears local livestock breeds and thus its actions contribute to biodiversity conservation. Its new wooden livestock shed is also designed to provide positive environmental results, as will the generation of clean renewable energy. This project shows the multiple benefits that can be gained from helping farms to be more competitive by increasing productivity, strengthening self-sufficiency, and improving the quality of their consumer services. It is worth noting that the overall impact of this RDP project will support strategic efforts in the region to promote short supply-chains, which benefit both consumers (by increasing access and choice to local food) and food producers (by providing relatively stable income streams).